Due to the popularity of the Aquapac waterproof phone cases we have added the Aquapac Whanganui 348 waterproof smartphone case to our range. 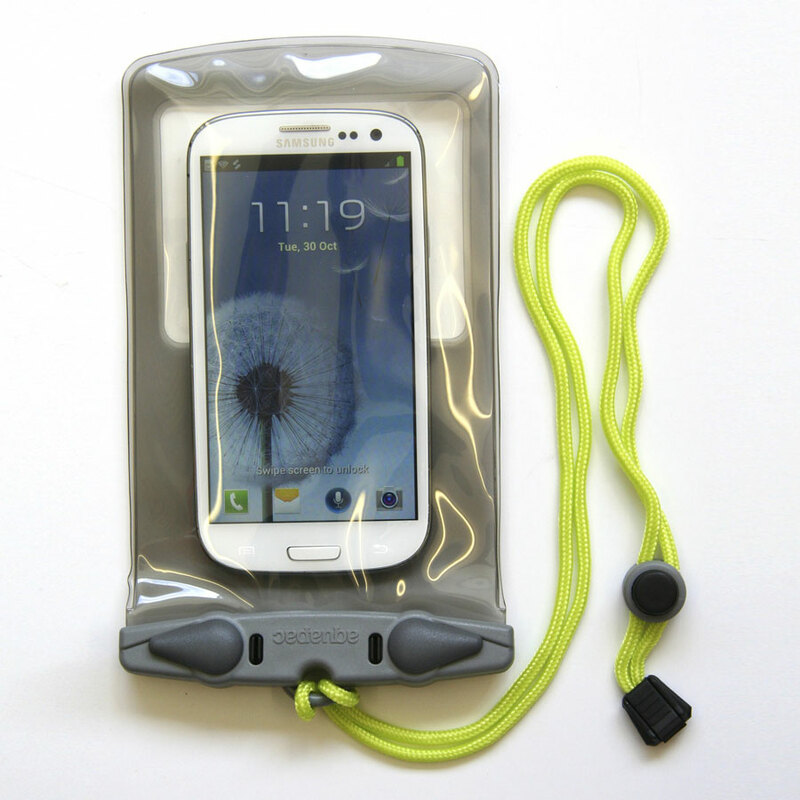 The Aquapac Whanganui 348 Waterproof Smartphone Case fits the slightly larger phones such as the Apple i-phone 6, Samsung Galaxy Note 3, SIII, S4, S5, S6, HTC One. 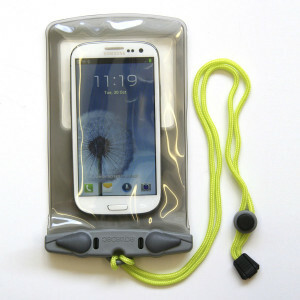 As well as keeping your phone clean and dry, the Aquapac 348 comes with an attached adjustable lanyard; this is in keeping with our philosophy of the keeping important kit attached to your person. It’s all too easy to drop your phone in the great outdoors when hands can be wet and cold, losing your main communication with the outside world can be critical! As with all the Aquapac smartphone cases calls can be made and taken without removing the phone from the case and all touch screen functions operate as normal. These cases a great buy; we both use them for our phones when heading out into the great outdoors, that said they provide good protection in industrial and other work related environments too. From personal experience I know that i-phones seriously don’t really like damp conditions never mind getting wet! So I keep one of these cases permanently in the top of my rucksack so that I can always protect and secure my communication system easily and quickly.